There are now three -- count 'em! 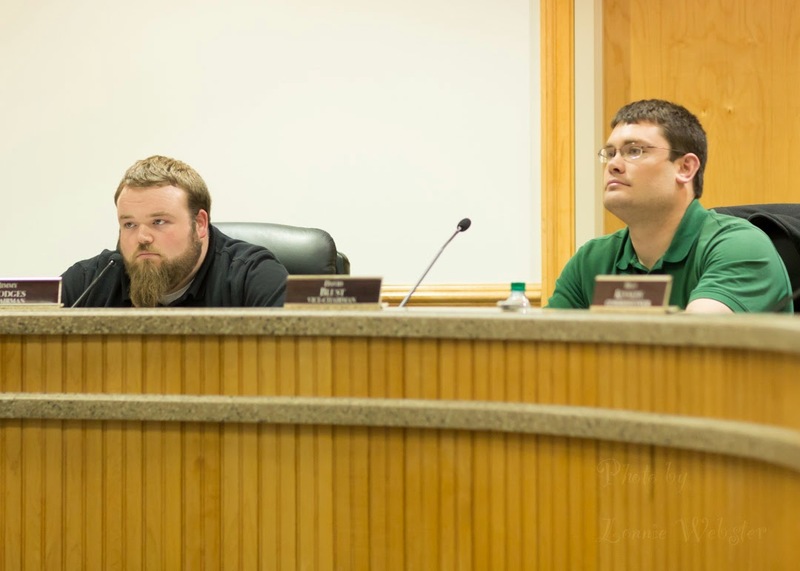 -- three different sets of minutes about what actually happened at the April Fool's Day meeting of the Watauga Board of Elections (BOE). The Boys -- Bill Aceto and Luke Eggers -- were (perhaps) so embarrassed by their incompetence that neither of them showed up on Friday afternoon for a specially called meeting (another!) to try to fix what neither of them could ever admit were glaring mistakes of procedure. Aceto and Eggers called in to the meeting via telephone. That's what we're now calling a public meeting of an important civic body. Jesse Wood's coverage in the High Country Press is priceless, wherein we learn that Mr. Aceto loves the whole concept of "draft minutes," since they can be rewritten repeatedly until you get the outcome you need, or the outcome mandated by Kim Strach, the Executive Director of the NC Board of Elections, who has to put her rubber-stamp of approval on this cluster-frack. In fact, according to Aceto in the Jesse Wood article referenced above, The Boys have been stumbling toward the light because Ms. Strach told them they had to get the appointment vote right before she could approve their pick of a political hack to run Watauga's elections. The whole system is now corrupt, top to bottom, from the puppetry of the Watauga BOE (a wholly owned subsidiary of Stacy C. Eggers IV -- "Four" -- to the top dogs at the State Board, whose actions in regard to voting in Watauga County (their previous rubber-stamp of Eggers&Eggers' Early Voting plan) was ruled unconstitutional by the senior Superior Court judge in Wake County last fall. Who among you can now trust the purported fairness and honesty of any vote in this county? Little bit by little bit this kind of thing turns voters against all politics, which ultimately lets the stringpullers get what they want, power with no responsibility. They may seem bumblers and jerkwads, but they are pawns in the larger game whereby democracy is eroded and corporate fascism comes closer and closer. When I get over my hysteria, I will comment. I love it, "cluster frack"! Thanks for making me laugh during what is utterly a disastrous situation. Come off your alarmist high horse, brotherdoc. Do you think a search was conducted when Jane Hodges got her job? Do you think a search is conducted each time your elected democratic politicians fill a spot within their office? Do the republicans indicate that democracy will end each time this happens? Eggers and Aceto are not "elected officials filling a spot within their offices." There were appointed and now THEY are making an appointment. There is no accountability at all. As for Ms. Hodges, it should be easy to find out if a search was conducted when she was hired - all we have to do is ask her! Jane Hodges was appointed and filled spots within her office. Did she hire Republicans or conduct a search? No. Other elected officials were appointed to fill a vacancy before running unopposed. They make appointments of their buddies. Just because a politician glad hands and is popular enough to win an uncontested election does not mean that there is any true accountability or awareness of the way she actually administrates the office. And, the democratic bully tactics that have been used here are deeply partisan sentiments, masked as concern about fairness. Anonymous 7:54, do you have any proof for anything that you posted?